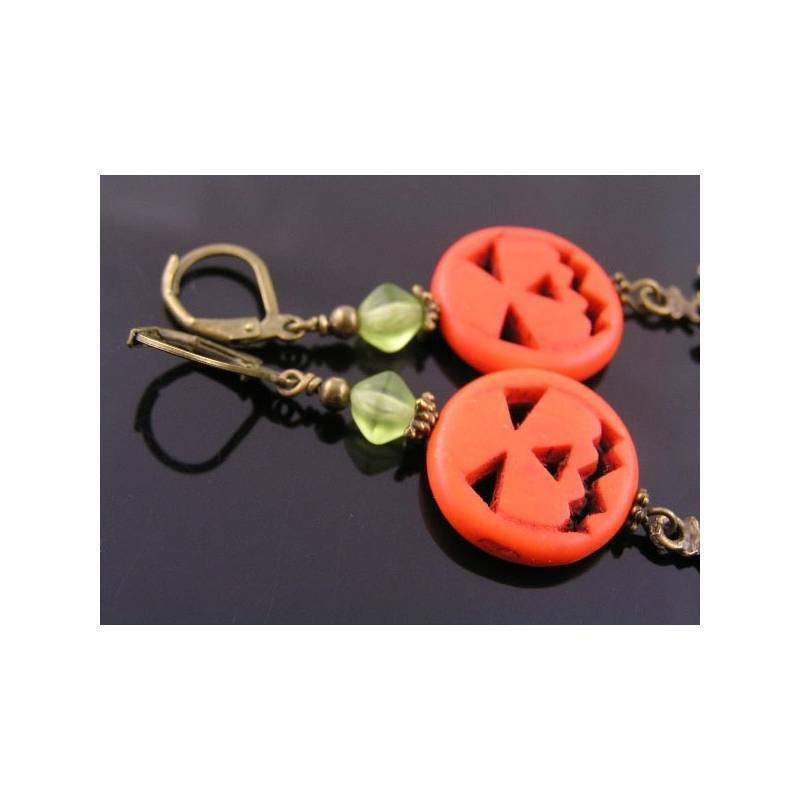 Large carved pumpkin bead earrings with scarecrow charms. 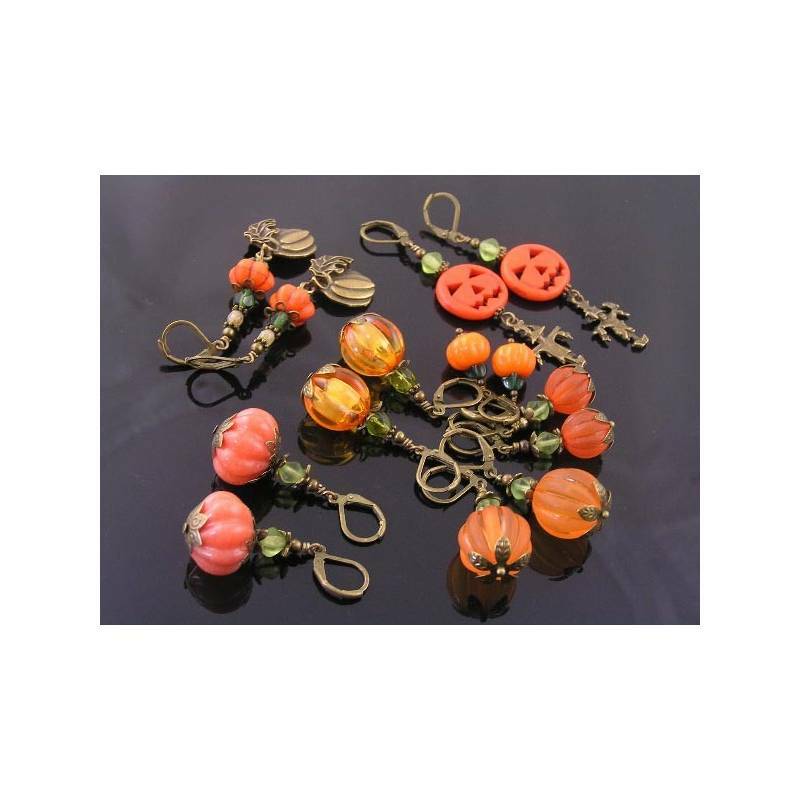 The bright orange beads are carved, flat howlite stones. They are framed with bead caps and topped with a small Czech glass beads. 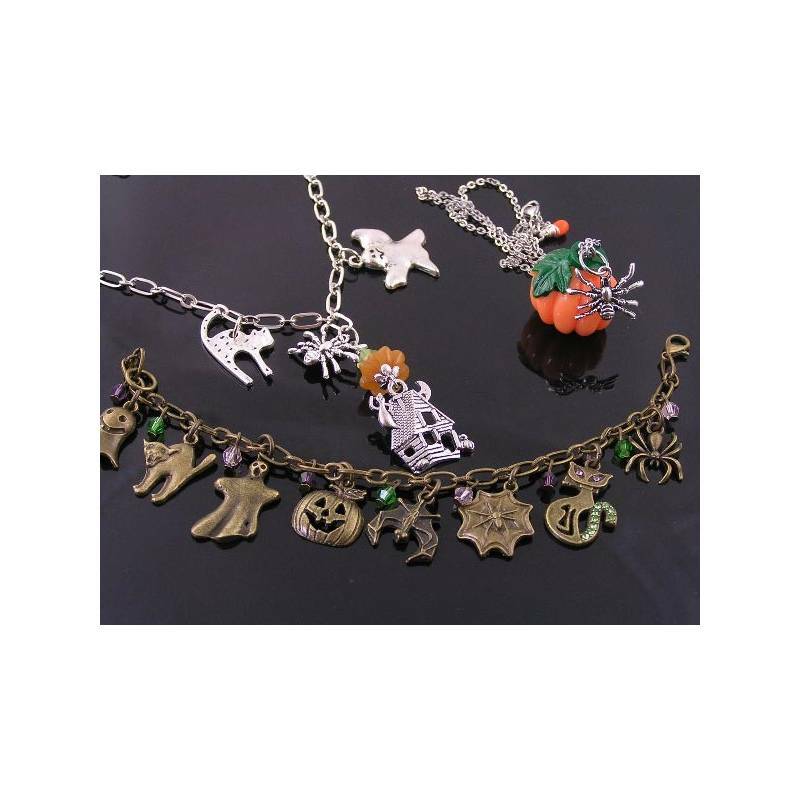 Attached are detailed scarecrow charms. Total length is 7cm, all metal is antique bronze finished. 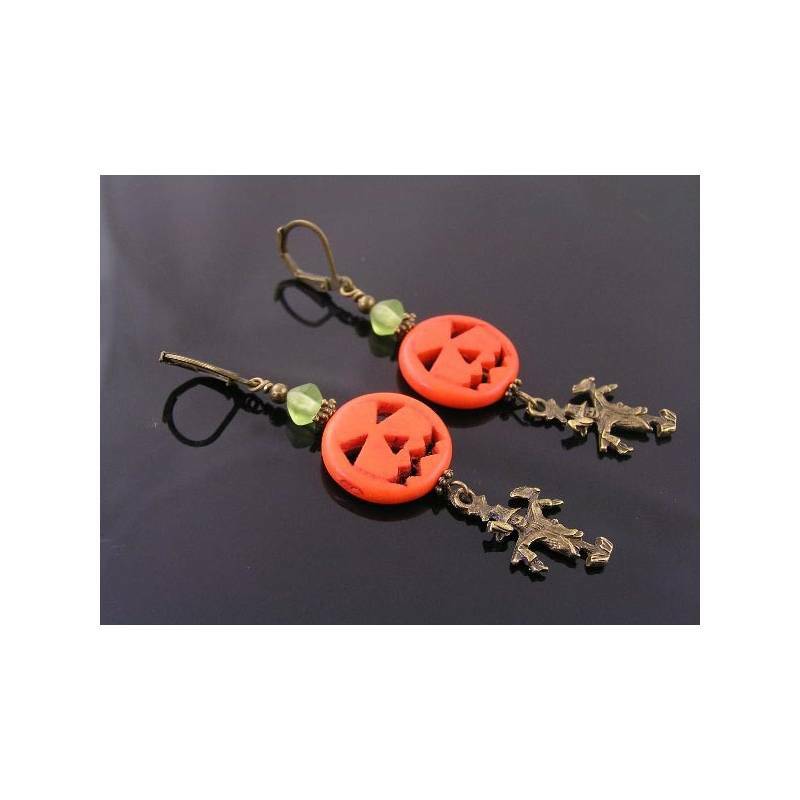 *The last two photos show other pieces from our Halloween collection, available in the Halloween Jewellery category.